Zone of the Mecha is a game in the works that will allow members to submit custom mechs they are interested in seeing in the game. 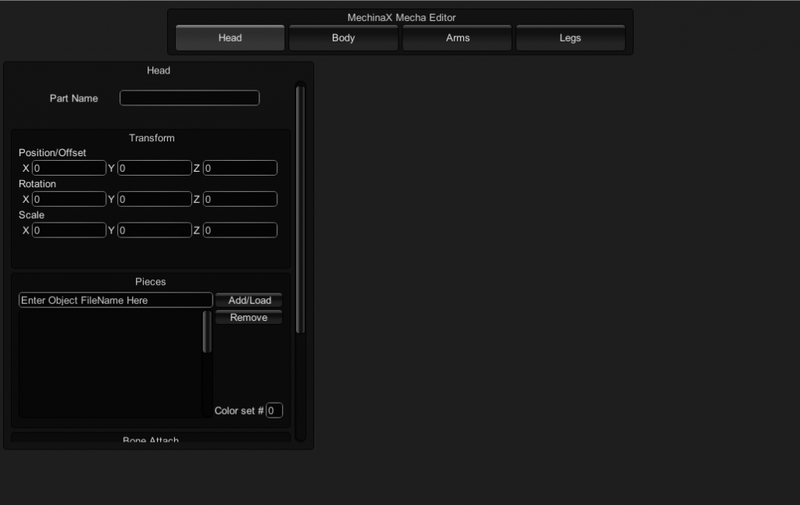 members if they want can help with asset creation my animating the mechs or prepping it for input into the game. there will be no modding at first instead i and members of my team will work with members to help get there mech into the game. as for modding that takes time and i want to get a game out. the moddable system might come later though. details about model submission will be given later after first gameplay demo is released. 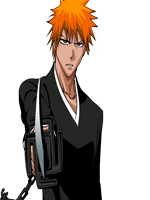 - inspiration for the game design comes from gundam vs gundam series, windom xp, and dragonball tenkaichi. - we are using Free version of Unity Engine to make the game. first mecha modeled out and prepped for animating. needs animations. 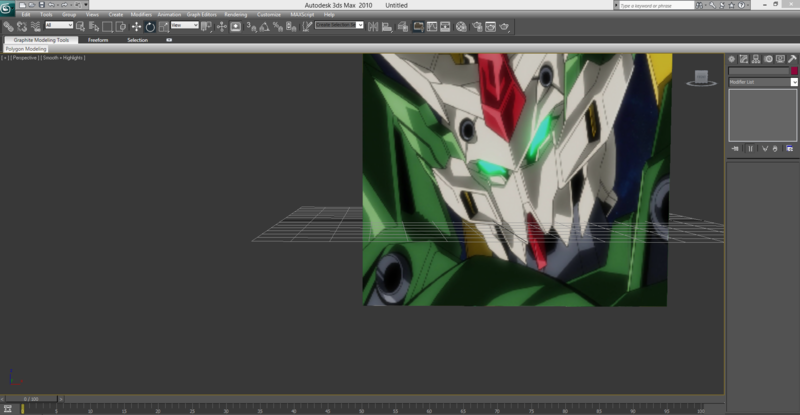 no movement yet, but camera is done and mecha imported. you're gonna program the movements/ attacks? you feel comfortable with that? well, i have bad news. adding moddability is a no. can't seem to get legacy animation system to work. 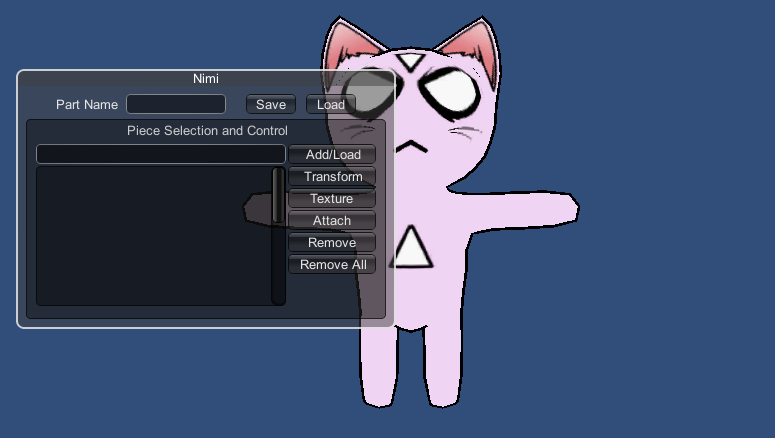 i might be forced to use unity's newer animation system mecanim which is not exposed much to code. script refusing to work. problem was found. delpine can't fly would be restricted to ground maps. i plan to support zero gravity maps and have a system for full movement in them. lol, sounds like you're progressing fast lately, keep it up. cloth physics can be done in unity. and if you want anything in the game the model has to be not a rip. but actually modelled out. control style is going to be same for all mechs. when i meant movement i mean behavior and how it moves in the level. i will look at ACE movements though. my goal is keep some of the windom xp and gvg control/movement feel but add support for zero gravity maps. looked at it. sorry eb not going too. but zero gravity maps might have movement similar to that. 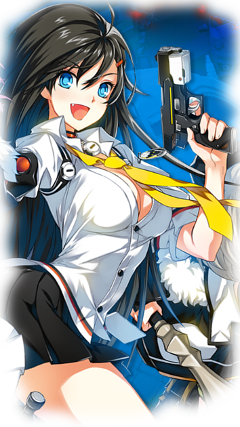 -each map has its own gravity value that effects each mech. unlike windom xp and gvg they use the same gravity for all maps. this is able to change so you can possibly make moon maps with moon like gravity. also this is good for having both zero gravity maps and maps with gravity. - each maps determines how boost will be consumed. there are 2 types of boosts low profile and high profile. just remap the controls if you have too, i will be including that option. anyway there will be keyboard support. the image is just the layout. before end of this day i will have a simple movement demo, showing off the camera. edit: wow that looks great!!!! if your model turns out good. i am willing to put it ingame. when i start to add more mechs. well, i can't do anymore work until helly gets some animation done for me or attempt to do them myself. so only way modding will be possible for the future is if i script non mecha specific. in simple terms scripts need to be universal so far its going good all my scripts can be put on new mechs easily. though the firing animation is getting tricky. i am forced to procedurally create it on the fly. so what if i told you i could bring gundam breaker like customization to this game in the future. not going to guarantee it so don't get hyped about until i actually do it. if this does well, i am thinking android port. i am making this in unity 3D. porting it to android would be easy. just would need to adapt controls to work on android tablets and phones. current platform target are windows, linux, and mac. if i was doing this in custom engine this would be a different story. also i have been lazy. barely got anything done these past days. welp, any hopes for modding is being knocked out. i will not be adding modding as long as it being made in unity. I am running into too many problems trying to make things universal or work in the future for modding capable stuff. if you want modding your going to have to wait until i can create a custom engine for it. can't you do something like ukwxp and leave the game open, or kinda easy to replace stuff with? my main problem is the animations. loading them at runtime. but i can have parts be replaced like in gundam breaker or how windom xp mix and matches work.. i have loaded models in before and attached them to an object in unity. i had a concept for something called a type system where mechs of same type held the same animations. i can do the same with this game and allow for a mix and match system. basically that exactly how my idea works except its more detail that it allows for multiple kind of mechs. not just a singular style. well, time to dig up some old code. i require a rip model thats posed for rigging. perferably a gundam seed or 00 model.